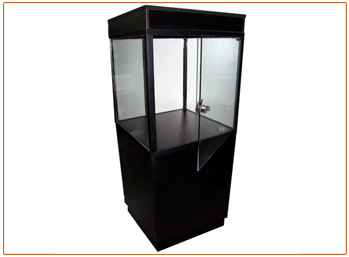 This is a simple yet sophisticated museum display tower that can host a variety of displays. Black base and matching black extrusions. All sides are glass with an inconspicuous locking glass swing door.